At any given moment, there are evil people walking the streets, and an average of 34 people are murdered each day. So what does that say when a series of murders concentrated in one area appear to be connected? Well, residents of Malibu are starting to wonder if there is a serial killer on the loose. Suspicions first arose when a murder at Malibu Creek State Park shocked residents this summer. Tristan Beaudette was murdered for no apparent reason on June 22 while camping with his young daughters. The father of two was shot in the chest while he slept in his tent and the killer was never found, nor were there any leads. His two daughters were left unharmed by the killer. So what makes this death so suspicious besides the lack of clues or motive? Well, two other shootings took place in the same park leading residents to suspect the killings may be related. In one of the previous shootings, a woman discovered the tailgate of her truck had been shot while she slept inside. Another shooting occurred while a couple slept in their car and were woken by a loud bang. When the couple rose in the morning they discovered a bullet hole in the hatch of their vehicle. Investigators determined the shot had been fired from a very close proximity. In these two shootings, the victims were not harmed, but the shots taking place while they slept seems to indicate a pattern that points to the latest killing of the sleeping Beaudette. That's not all; a series of other suspicious deaths have also been taking place prompting actor Rob Schneider to ask the obvious, why isn't anyone talking about the serial killer on the loose in Malibu? 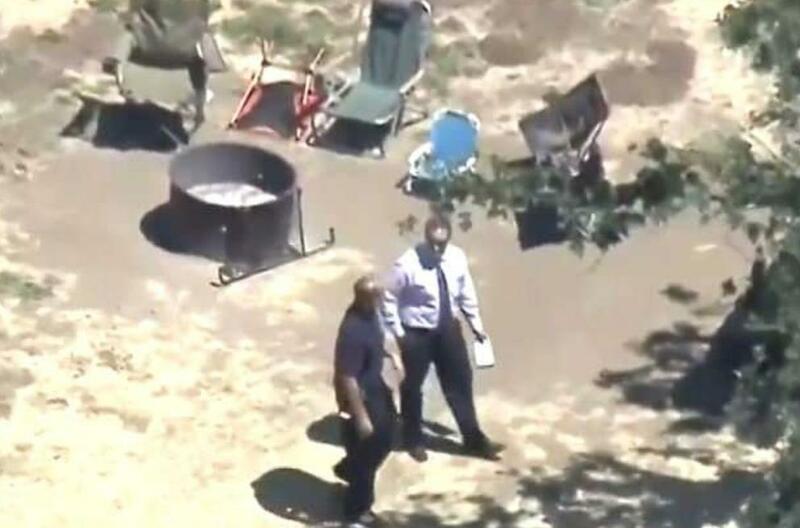 Earlier this year in May, the body of a man identified as 52-year-old Francisco Reynaldo Cruz was discovered dumped in a ditch near Malibu Creek. An autopsy revealed he was killed at another location by "sharp force injuries" to his neck and chest as well as a "blunt force injury to the head." Perhaps knocked unconscious and beaten to death while he slept? The campground has been closed down in the wake of the terrifying activity. Earlier this summer in July, the body of Roger Barahona, 19, was discovered ditched on Piuma Road. Barahona's cause of death was determined to be multiple gunshot wounds. Two years before that, a hiker named James Rogers was shot in his arm while sleeping in Tapia State Park. Rogers survived the shooting. Another man, 21-year-old Mathew Weaver Jr. of Simi Valley went missing on August 10 near the same area and hasn't been seen since. State Senator Henry Stern said, "Eight confirmed shooting incidents have occurred since 11/3/16. The murder of Tristan Beaudette was a senseless act of brutality and I know many rumors persist. Many of you are rightly concerned about the future of public safety here, but these law enforcement agencies have really stepped up and worked together… I’m proud to announce the Santa Monica Mountains Interagency Task Force that you see here today." Despite the mounting evidence of a serial killer on the loose, authorities are adamant that there is no serial killer to be afraid of, yet. A police spokesman said, "We’re currently investigating the Beaudette murder and two additional murders. The two additional murders were gang-related and Beaudette’s was not. We do not have a theory or known suspect on Beaudette, but we have very experienced homicide investigators working diligently on the case. We’re not asleep at the wheel." A lunatic in California? Never!!  Be like trying to find a needle in a haystack of loons. Agree with the comm above, probably a nut bag Democrat. They're all insane. It's a rather wealthy area. Perhaps he's killing the 1%in the name of communism. serial killers love anti 2nd amendment states.